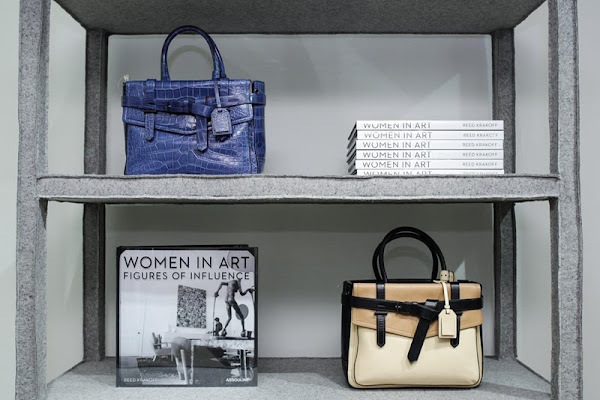 On the inspiration front, I'm jonesing for a couple of new tomes, specifically Reed Krakoff's beautiful Women in Art: Figures of Influence (above) featuring the designer's intimate black-and-white portraits of a slew of female art world luminaries (think Valentina Castellani, Jeanne Greenberg Rohatyn, and Dominique Lévy). 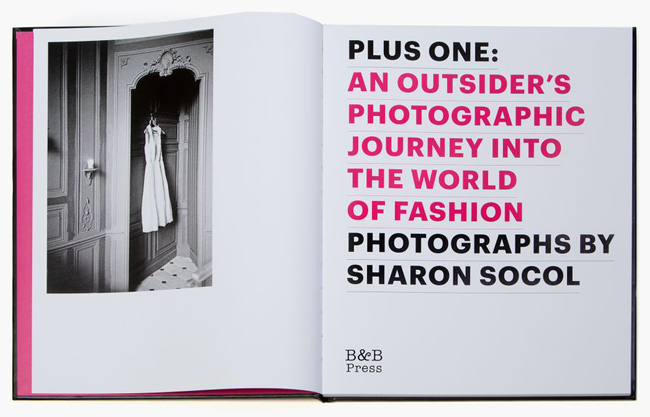 I'd also love to nab a copy of Sharon Socol's Plus One: An Outsider's Photographic Journey into the World of Fashion. The wife of former Barneys New York CEO, Howard Socol, Sharon was his "Plus One" for hundreds of fashion events. 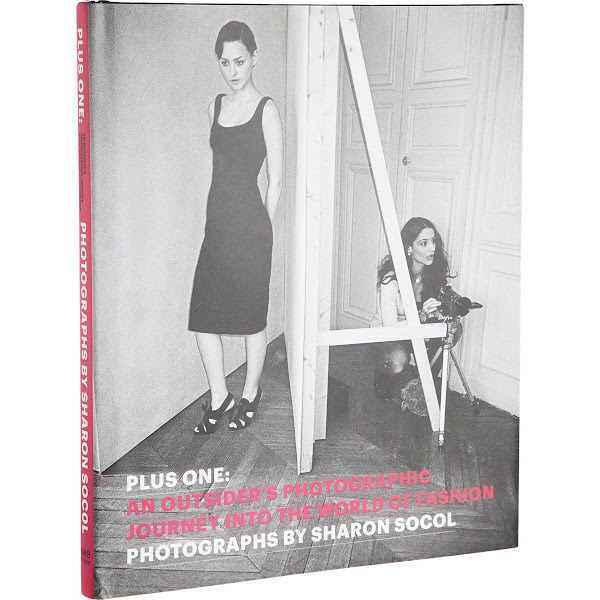 Answering the question, "What does a fashion outsider do when presented with the challenge of being the Plus One?," the photographer assumed a sort of voyeurism stance, capturing behind the scenes images of an that illusive world. Fashion voyeurism in the form of gorgeous photographs by a talented artist? Count me in. 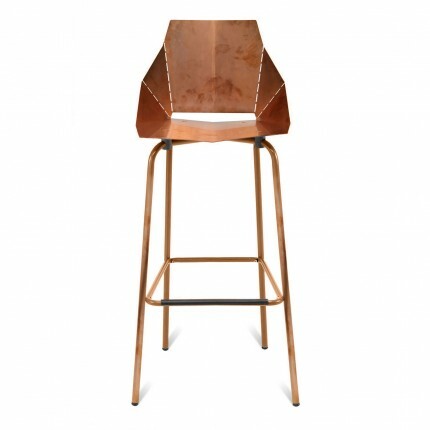 On the home front, I'm dreaming of new barstools for a counter slap in the middle of our house (read: where everyone that walks through our door can see). These copper "Real Good" beauties from BluDot make me happy in a wholly unreasonable way. I'd like three please. 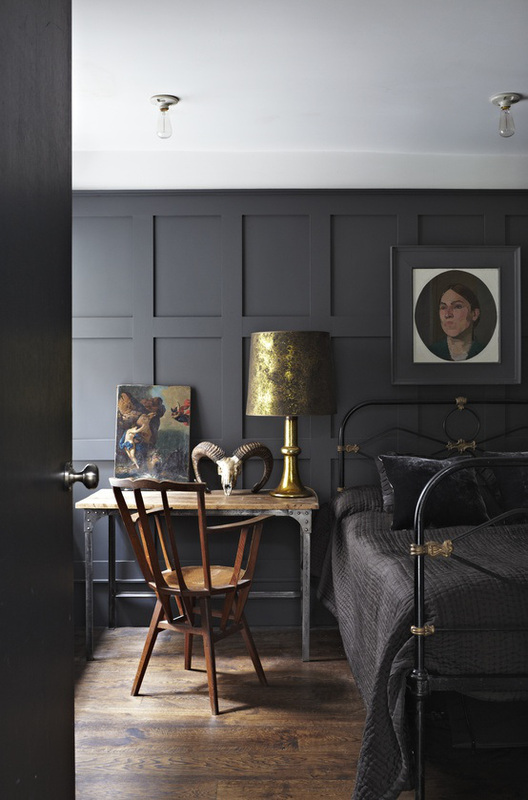 I'd also like to totally rethink my dining room starting with drenching the space with a couple of coats of Farrow and Ball's Railings. The deep blue-tinged charcoal is haunting me... I can't help but thing it would impart a nice does of mysterious goodness into a room that's been vexing me terribly on the design front. Last but not least, we have the sartorial desires. I don't want much here friends. My minimalist approach is partly due to this and partly due to the fact that if I want to dress like this (and my Pinterest seems to indicate that I do) then I'm, well, pretty much covered. Dark skinny jeans? Check. Black cigarette pants? Check. Slouchy tees? Check. Tailored blazer, tweedy blazer, soft-shouldered blazer? Check, check, and check. 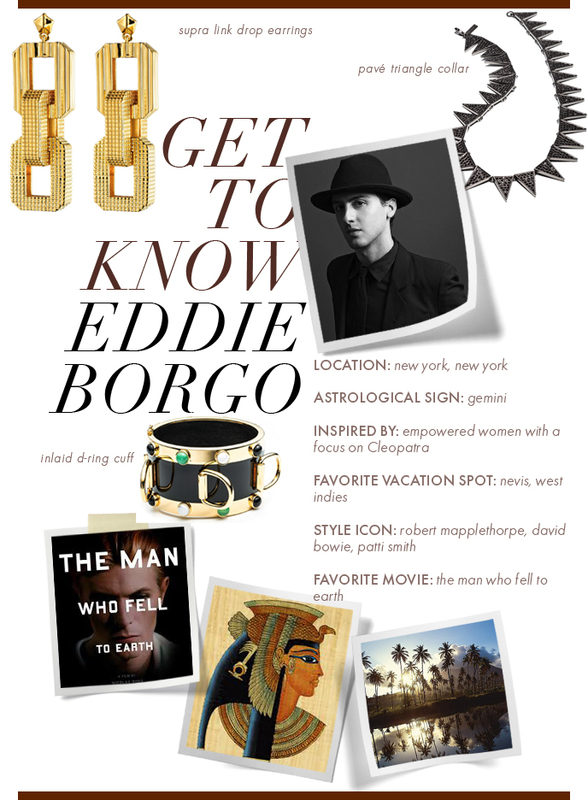 Aforementioned "edge could also be achieved with a little Eddie Borgo action. 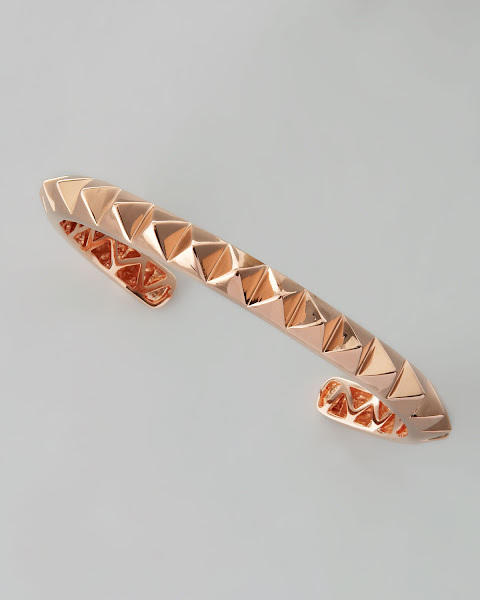 I am majorly digging the Borgo of late, so I'd happily take any piece, but if forced to choose, I'd opt for some the delicate rose gold Pyramid cuff above. Finally I'd love a dressier, silky tank to put under my beloved blazers when I want/need to dress things up a bit. 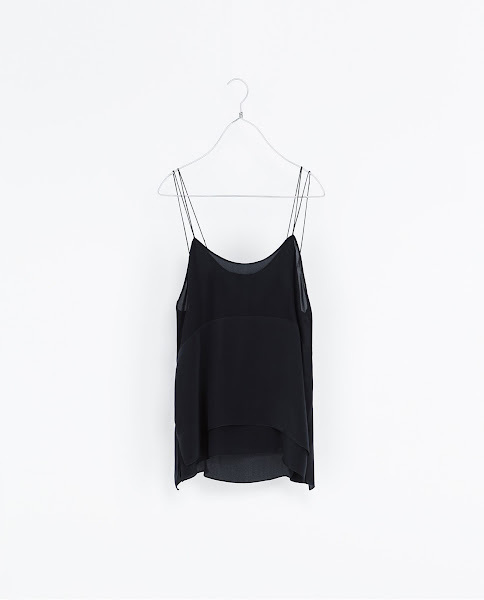 This mulberry silk beauty from Zara is pretty much tank nirvana, yes? So do tell, what's on your fall wish list? Love the charcoal dining room idea! I painted mine chocolate several years ago and the dark color creates amazing ambiance. I also think it would create an amazing contrast with your unique dining table!!!!! Promise to show us before + after photos, OK? Can't get over that felt etagere in the first photo! What a great way to cover an ugly/plain piece. Loving this list! 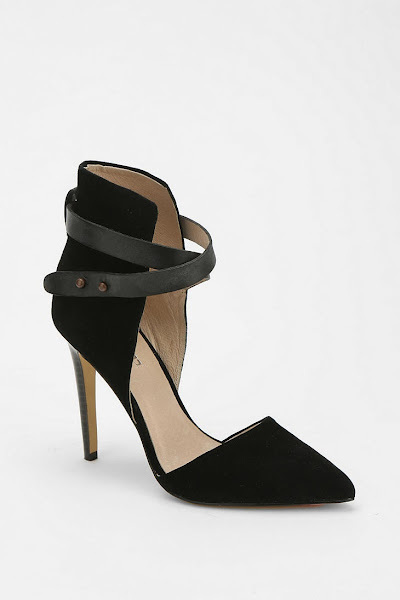 After I do a big closet purge I might treat myself to those heels and Zara tank. They are going to be way too hard to forget. I am in love with those heels - definitely perfect for Fall!